French: Alapi carillonneur; German: Singameisenschnäpper; Spanish: Hormiguero Cantarín. 5 in (12 cm), with a black iris and short tail. 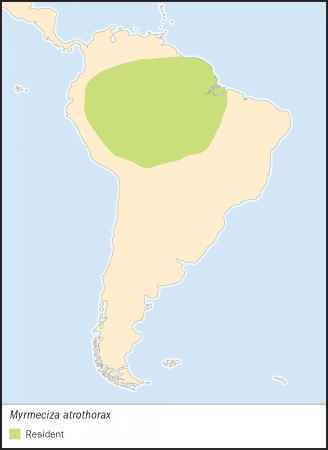 Amazonian region of northern South America, including southern Venezuela, Guyana, southeastern Colombia, eastern Ecuador, eastern Peru, northern Bolivia, and widely in Amazonian Brazil. 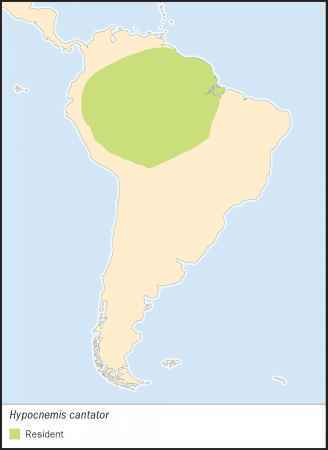 Below 3,300 ft (1,000 m) in dense undergrowth vegetation of the borders of humid tropical forest and secondary forest, often in the vicinity of wet areas. 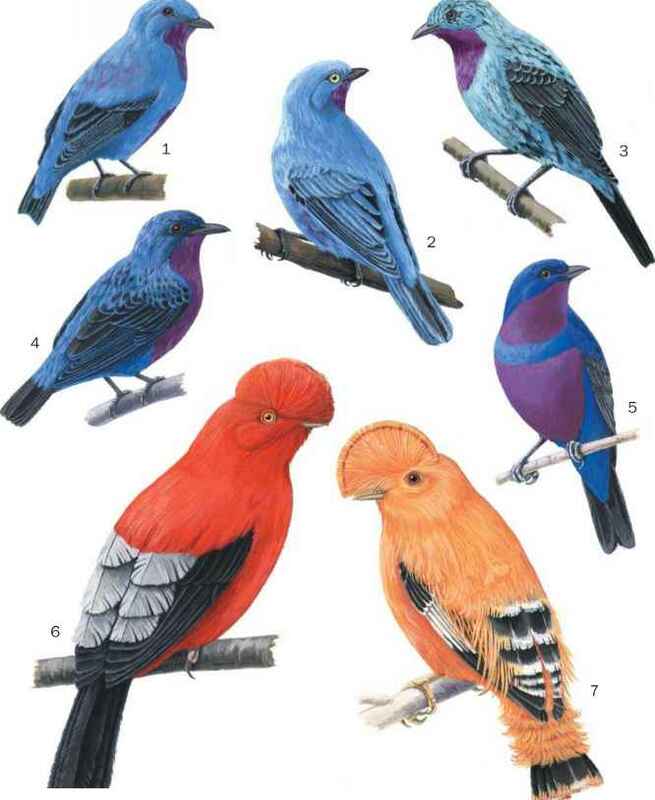 Nonmigratory pairs defend a breeding territory. Song of males is a rapid series of notes, sometimes echoed by the female. Glean insects and other arthropods from foliage in dense lower-canopy vegetation.